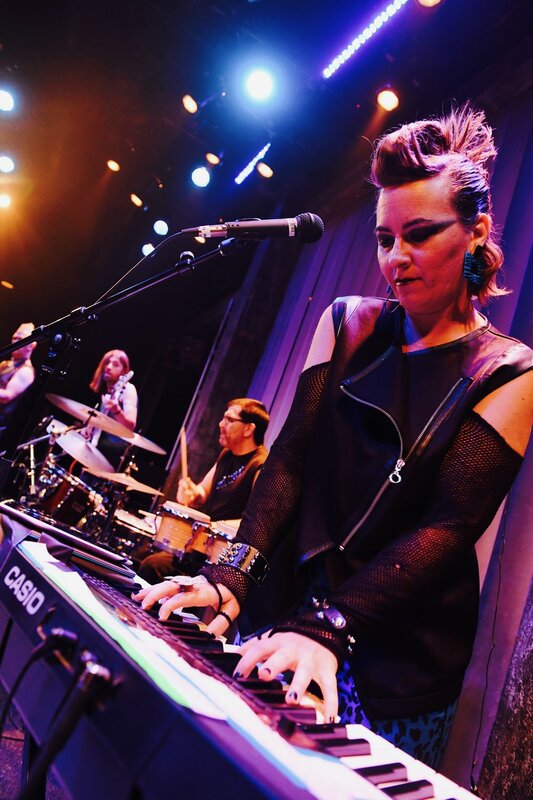 This Obie winning rock-musical tells the captivating story of Hedwig a fourth-wall smashing genderqueer East German rock 'n' roll goddess. 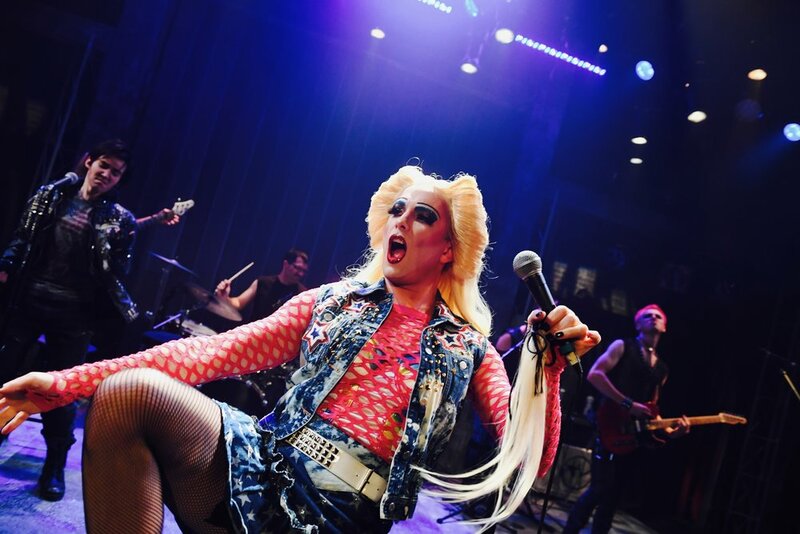 Backed by her punk rock band "The Angry Inch" Hedwig weaves her tragically beautiful journey; escaping East Berlin as Hansel and arriving in the Kansas trailer park as Hedwig. 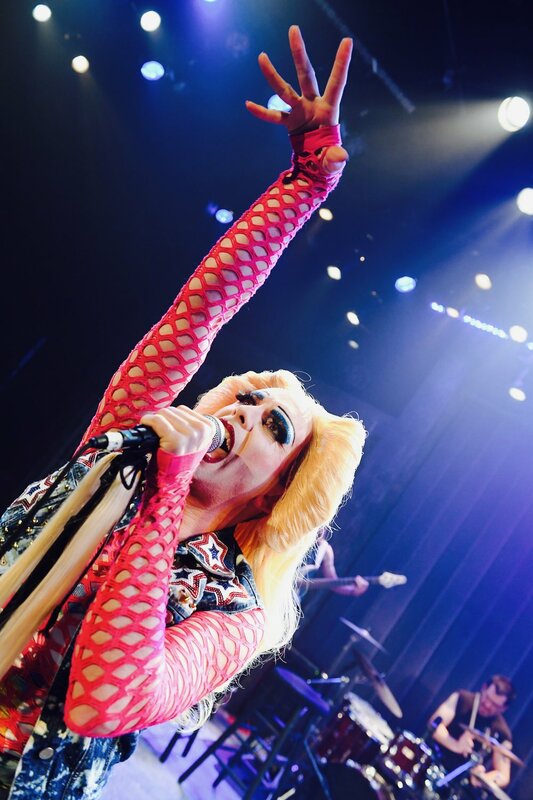 Through the soaring rock songs and side splitting monologues we follow Hedwig as she stalks Tommy Speck’s world tour. 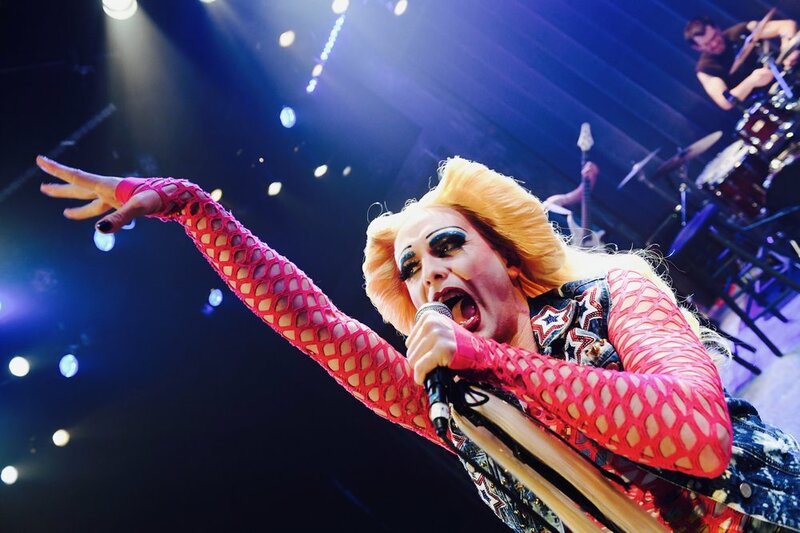 Divided between conqueror and victim Hedwig demands redress from Tommy for stealing her songs, her fame, and her love. 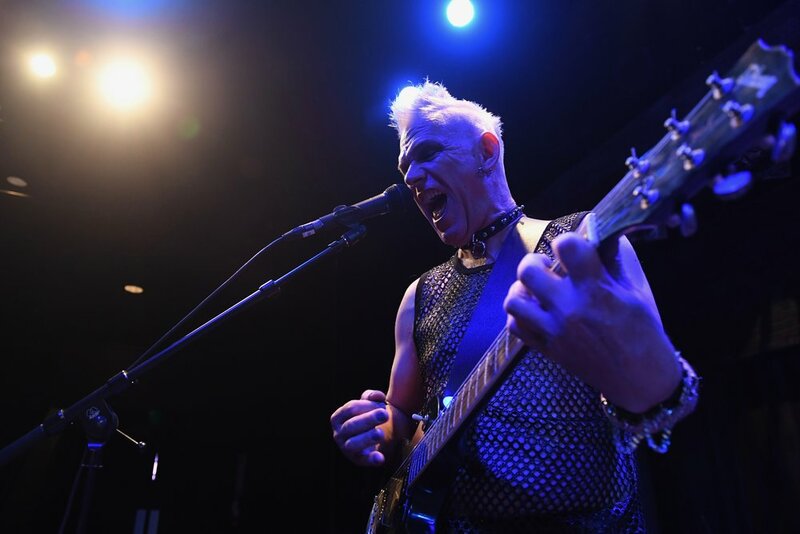 Hedwig and the Angry Inch perform directly across from his concerts in restaurants adjoining the stadiums. 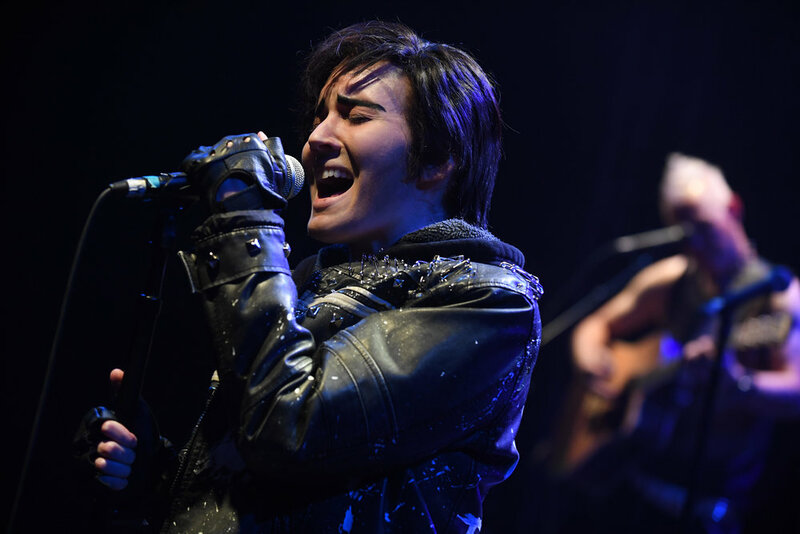 Aided by her assistant, back-up singer and husband, Yitzhak Hedwig tells her life story with songs like “Tear Me Down”, “The Origin of Love”, “Sugar Daddy” & “Wig in a Box”. This rockin’ ride exposes the polarity in us all and is ultimately inspiring to anyone who has felt life gave them an inch when they deserved a mile.